Let’s chat about the Pareto principle. Simply put, it says that 80% of the outcomes will come from about 20% of your effort. It can be applied to many aspects of your business. 80% of your content should free value added, then 20% of the time ask for the sale. Depending on how you flip that coin you could say that a large proportion of your energy goes to not many sales, or a small portion of your energy provides the most results. That’s why every business should have a strategy because it includes in it analyzing, of your business. Do you know your sales per customer? Or the profitability of your accounts? Or a breakdown of sales, margins of those sales, etc. Or do you just wait for the accountant to smile or frown at the end of the year? If it’s the latter, then likely your marketing is not working for you very well for you. 1. Find out who the top 20% of your customers are, then from there find more profitable groups of customers that are the same as them to target in the future. Make an avatar for them – if you don’t know how to ask us! This will help you service more to the group that sits in the 20% and bring more of them into your business. 2. Make a list of all your customers based on revenue – draw a line, top 20%, bottom 80%. 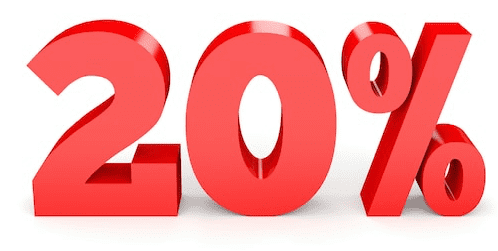 Sometimes (if not always) you have to drop some clients from the 80% so you can service the 20% group better – do this. I GUARANTEE you will reap the rewards. 3. Always provide value 100% of the time, don’t follow the 80/20% rule here. Then take the dog for a walk and have gratitude!